I’m coming up for air! Spokes is done! I should have print books in my hand later this week. Did I mention my hand is going to be in Atlanta, for Gay Rom Lit? 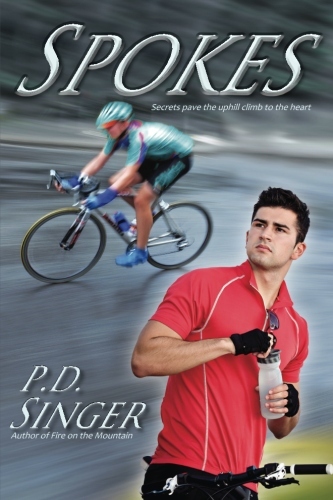 But yes, Gay Rom Lit, here I come, and the attendees will have the first look at my cycling novel. Everyone will get to see soon, I promise: the MOBI, EPUB, and PDF versions will be available after Atlanta, and since I”m not editing and alll, I also solemnly promise that I will tell people about it! This entry was posted in Writing and tagged Gay Rom Lit, Luca Biondi, new release. Bookmark the permalink.